Value of antioxidant capacity as relevant assessment tool for “health benefits” of fruit - understated or inflated? Colon cancer and the consumption of red and processed meat: an association that is medium, rare or well done? 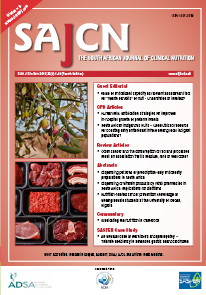 South African indigenous fruits – Underutilized resource for boosting daily antioxidant intake among local indigent populations?